Keller Williams Realty, the world’s largest real estate franchise by agent count, was recognized by Training magazine, the leading business publication for learning and development professionals, as the No.1 training organization across all industries worldwide. The Training Top 125 ranking is based on a myriad of benchmarking statistics such as total training budget; percentage of payroll; number of training hours per employee program; goals, evaluation, measurement, and workplace surveys; hours of training per employee annually; and detailed formal programs. 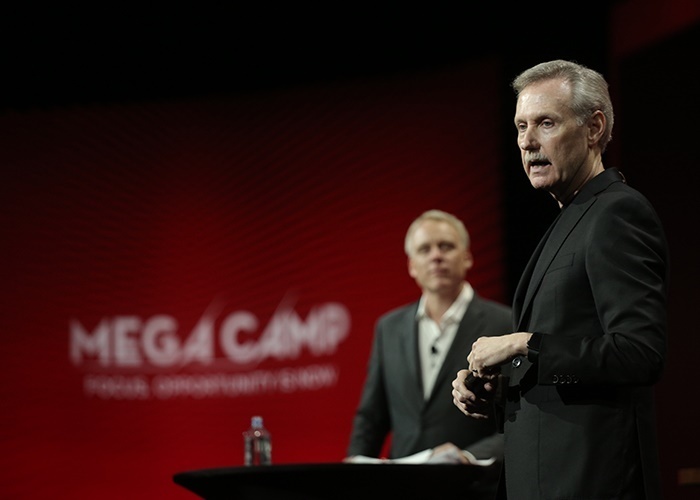 Gary Keller and Jay Papasan authors of the book SHIFT have recently delivered critical action items every agent should take now. The market shift is here and spreading through each city. It is crucial to understand what the shift is, and how prepare your business in order to grow and remain profitable. This review of the book took place at Mega Camp in Austin, Texas over the past week. Reflecting on the title, Keller said that the book can actually work to reinvigorate any business at any time – it is not only for use during shifting markets. With that in mind, Keller and Papasan outlined five critical action items agents should do now to pave the way for not just a profitable year, but a profitable career. When a market shifts, there is only one thing you can do: SHIFT WITH IT. In a shift, nothing becomes more critical than lowering your costs, re-energizing your people and systems, finding motivated buyers and sellers, and closing them to appointment. Maintain a monthly budget that matches your shifting revenue. Re-margin your personal expenses so that your business and personal life live within their means. Profit is made in managing expenses. As you manage your expenses and make necessary cuts, you will need to get creative to do more with less and make every body count. Be visible and communicate to set the tone. Ramp up your training to upgrade their skills. Re-tool your systems for efficiency and focus. Increase your recruiting to top-grade personnel. The race is on to find the ready, willing and able clients to buy, because in a shift, there is no longer enough to go around. A shift presents an opportunity to find the truly motivated, but you need to make every activity count. While the market may change, the reasons people buy homes don’t, so find those motivated buyers. Good leads are great, but leads that become appointments with motivated people are the only leads that matter in a shift. Make sure you take the time and do the activities to make every lead count. Action 5 – Leverage Your Market Center / ALL HANDS ON DECK – No one succeeds alone. Coordinate training on key topics. Partner recruiting with the team leader and other associates. 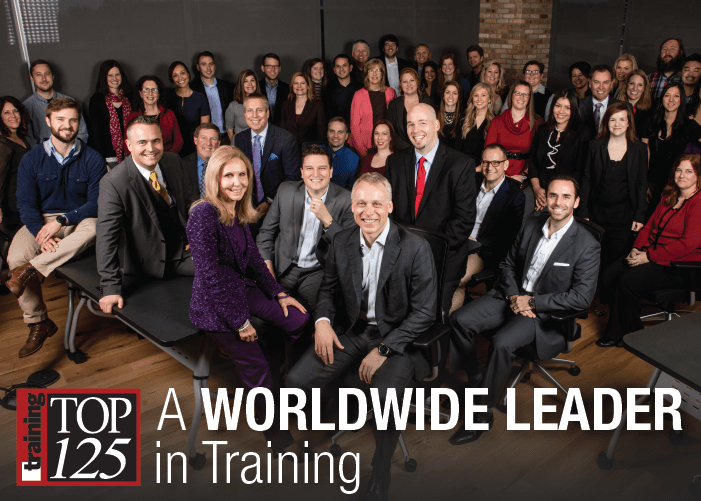 For third consecutive year, Keller Williams is recognized as a world leader in training! Keller Williams was recognized by Training magazine, the leading business publication for learning and development professionals, as the No. 2 training organization across all industries in the world. Keller Williams also received an Outstanding Training Initiative Award for its Leadership Week training, a course offering focused on the development of business leaders. On February 15, Keller Williams received the honor at Training magazine’s annual awards gala in Orlando, Fla. For the third consecutive year, Keller Williams placed in the Top 5 on the Training 125, which ranks companies’ excellence in employer-sponsored training and development programs. The company has also previously placed on the Training 125, outside the past three years. The Training Top 125 ranking is based on myriad benchmarking statistics such as total training budget; percentage of payroll; number of training hours per employee program; goals, evaluation, measurement, and workplace surveys; hours of training per employee annually; and detailed formal programs. For more information on the Training Top 125, visit www.trainingmag.com. It is a new year and you or someone you know are thinking it’s time for a career change. Does a career that can begin in a few months without the need to get a college degree sound appealing? How about a career where an individual can manage their own time, earning potential and business? If this sounds like something you want, you may be looking for a career in real estate. State requirements to become a real estate agent can vary. However, all states require completion of a minimum number of classes, a background check, various fees, and of course, passing the licensing exam. With many programs, including online courses, the entire process can be completed in approximately three to four months. That means if you start now, you could have the career of your dreams by the summer! Once you make the decision to start a real estate career and complete the state requirements, the next step is selecting a broker or brokerage. After completion of real estate school and exams, every agent must choose a broker/brokerage affiliation, unless they are one themselves. And the choice normally comes down to which company offers the most benefits. Brokers are required by state law to pass an additional exam after they pass their agent licensing exam. Brokers can work alone or they can hire agents to work with them. Like real estate agents, brokers serve representatives for buyers and sellers, but they also serve as a responsible party for their affiliated agents they may have. When you choose to join Keller Williams, you join forces with the most dynamic real estate company in the world. Keller Williams is an international real estate franchise company with more than 132,000 associates and 700 market centers across the globe. More so than ever before, real estate professionals are turning to Keller Williams Realty for the education, technology, culture and wealth building opportunities. In 2015, Keller Williams was named the No. 1 training organization in the world by Training Magazine. Post-licensing education opportunities for agents range from classroom training to on-demand, online education and our award-winning KW MAPS Coaching programs. Keller Williams University (KWU) provides the most advanced and comprehensive learning opportunities in real estate. Look at all the courses offered in Austin in 2016. This list doesn’t include the thousands of training events held monthly in local offices. To succeed in today’s global real estate market, you have to stay on the cutting edge of marketing and technology. Keller Williams offers the industry’s only agent-branded mobile app. The KW Mobile App is a free download for your clients that offers saved searches, easy contact to you, a mortgage calculator, user-friendly social sharing options and more. Keller Williams also has a premium video marketing service, KW Video, available to associates. With KW Video, agents have unlimited access to professional templates, scripts and the ability to upload the videos anywhere. With video becoming increasingly popular for real estate marketing, agents can’t afford not to use it in their marketing plans. The unique Keller Williams culture creates a sense of family and community that is rare in many industries, especially real estate. When you’re at Keller Williams, you’re family. In fact, our culture is so impressive, it has caught the attention of many, including researchers at the Stanford Graduate School of Business. In April, 2015, they published a report in their Closer Look series on the importance of culture at Keller Williams. It marked the third time that the prestigious business school has studied Keller Williams. In keeping with the philosophy that agents are partners and stakeholders in the success of the business, Keller Williams has created a distinct wealth building platform through which our leadership teams and office owners reward those who have contributed to a market center’s growth. In the U.S. and Canada, we do this through profit share; and across the world, through growth share. In 2015 alone, Keller Williams distributed more than $119 million in profit share to participating associates across the world. To get started with your real estate career with Keller Williams, the industry innovator and leader, contact your local office to set-up an appointment. They will walk you through all the steps you need to start a real estate business in your market. Wherever your path takes you, we wish you a fulfilling and prosperous 2016! With year-over-year sales growth of 16.1 percent, an increase of nearly $700 million over the previous year, Keller Williams is the highest ranking real estate brokerage for sales growth percentage on the Franchise Times 200. The Franchise Times Top 200+ is the only ranking by worldwide revenue and locations of the largest 500 U.S.-based franchise brands. Keller Williams also moved up from No.28 to No. 24 on the annual list of America’s biggest franchise companies. The top three are McDonald’s, 7-Eleven and KFC. The impressive showing by Keller Williams follows on the heels of recognition by Inc. Magazine. Keller Williams made the 2015 Inc. 5000 Honor Roll as one of the fastest-growing private companies in the United States, earning a spot on the Five-Time Inc. 5000 Honoree Honor Roll. View the complete list on Inc.com. We are proud to announce that our office has profit shared over $500,000 back to our agents since July 2011! One of the values of being part of Keller Williams ® involves its profit share system. It is the most significant compensation innovation in real estate history; an open-ended profit-share program. This system allows any Keller Williams ® associate, affiliate broker or employee the opportunity to participate in the profits they help generate without assuming any financial risks. This program goes beyond ordinary income opportunities. Through our associate vesting program, it continues for life, even after an associate stops listing and selling real estate. It is an insightful look at what future compensation programs will be measured against. At Keller Williams, our associates are full business partners with the owners of the market centers. Participating agents are recognized and rewarded financially for bringing other talented, productive agents to the company by receiving a share in the profits generated by the entire office. Keller Williams is an “open books” company, allowing its associates to access their market center’s financials to see firsthand how the company is performing. Brokers and agents are partners in business so everyone can work together to maximize financial success. At Keller Williams, the opportunities to build wealth and secure your financial future are endless! Nearly half of all profits collected from our market center are returned to our agents, who are most responsible for delivering those profits. Currently, more than 23,000 agents participate in KW’s profit-sharing program. Since the company’s inception, 14 agents have made over $1 million in profit-sharing revenue alone. This alternative source of revenue is unavailable to agents at other brokerages, and it is one of the main reasons why KW is the fastest-growing brokerage in the nation. AUSTIN, TEXAS (September 8, 2015)– Keller Williams, the world’s largest real estate franchise by associate count, has increased its base by 17 percent since January 1 to more than 125,000 associates. In the first half of the year, Keller Williams shattered monthly records as transactions were up 20 percent to almost 400,000 units, sales volume increased 26 percent to $100 billion and agents earned $3 billion in gross commission income. In 2015, Training Magazine named Keller Williams the No. 1 training organization across all industries in the world. Keller Williams offers training programs and courses catered specifically to each stage of a real estate agent’s career. The wide selection of courses allows agents to select the best training and coaching for growth in their personal and professional lives. To ensure the most effective models and systems are integrated into its training offerings, Keller Williams continually refreshes education programs with proven models and systems from its top agents in the field. Through market-of-the-moment training, agents are empowered to establish themselves as local market experts. Leveraging industry-leading training and coaching on real estate business best practices, Keller Williams franchise owners have increased their profits by 37 percent. The company’s profit share and growth share program, which rewards associates who help the company grow, gave back $98 million in 2014 and has now surpassed $650 million in distributions since the program’s inception. A testament to the success of its business training programs, Keller Williams’ agents and agent teams consistently rank among the nation’s top real estate producers. In 2015, Keller Williams led the industry in the number of top agent teams recognized in the REAL Trends “The Thousand” by the number of transactions they closed.